Buy 1 for $20.26Buy 2 / Save $1.08!Buy 3 / Save $4.05! During the summer when our children were small, they were forever asking for soda's or other sugar laden drinks. Also they wanted to emulate us by having a cup of tea. Those of you who have inadvertently given your children drinks that may contain caffeine or large amounts of sugar know that these are hyperactive combinations. You also probably feel a little guilty thinking my child should be drinking something that is more healthy and not something that "wires them up." Well we formulated a "Kid's Tea." 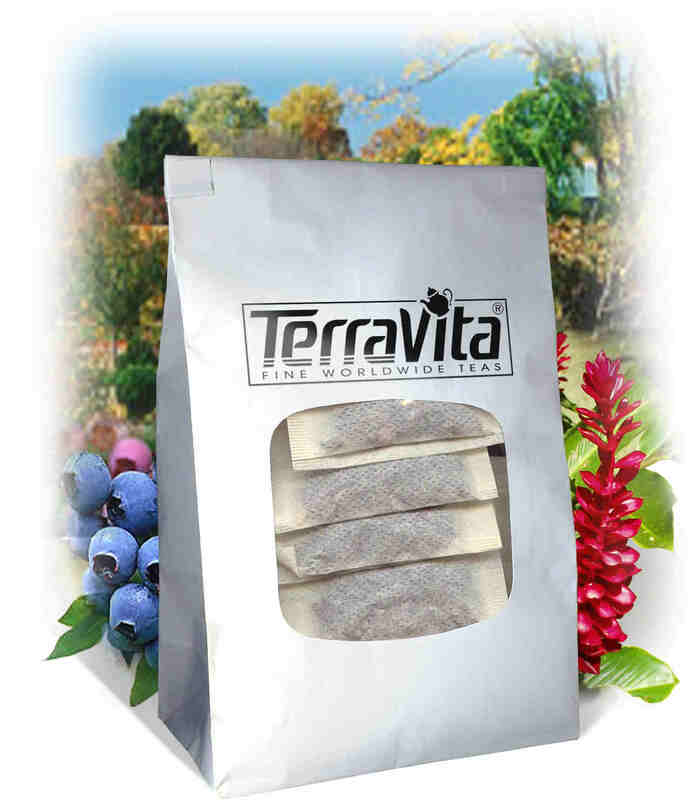 We theorized that the Herb and Fruit teas are full of natural fruits which are very tasty and refreshing; there are significant amounts of Vitamin C and other essential nutrients in these dried fruits; they are caffeine free; .... so all we had to do was make a blend that was appealing to children's taste buds. Hot tea brewing method: Place 1 to 2 tea bags of Tutti Frutti - Kid's Tea per cup. Pour boiling water into pot and let it steep for 5-7 minutes (or longer - the longer the steeping time to more intense the flavor becomes). Pour into your cup and add sugar to taste. 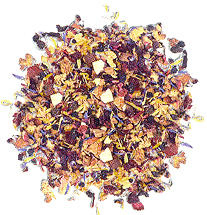 Do not add milk - the milk will curdle due to the ingredients in this blend. Cold tea brewing method: Do Not Pour Hot Liquid directly into a Glass Pitcher (makes 1 quart/liter) - Put 5 - 6 tea bags teaspoons of Tutti Frutti - Kid's Tea into a heat resistant pitcher. Pour 1 1/4 cups of freshly boiled water over the tea. Steep for 5-7 minutes or longer. Quarter fill a serving pitcher with cold water. Pour the tea into the pitcher straining the bags. Add ice and top-up with cold water. Garnish and sweeten to taste. to the pitcher or pour over ice into a tall glass. "Flower Power: Add Hibiscus To Your Heart-Friendly Diet." "Hibiscus: The Effect of Sour Tea on Essential Hypertension."